Form 1E of Penrose Road school with class teacher Miss Moyle. Pupils include: Tony Samson, Tony Martin, Kenneth Matthews, Michael Lawrence, Hugh Bassett, Trevor Williams, Christine Watson, Michael Jose, Ivor Curnow, Alec Peters, Beryl Martin, Dawn Field, David Hendy, Betty Williams, Estelle Dale. 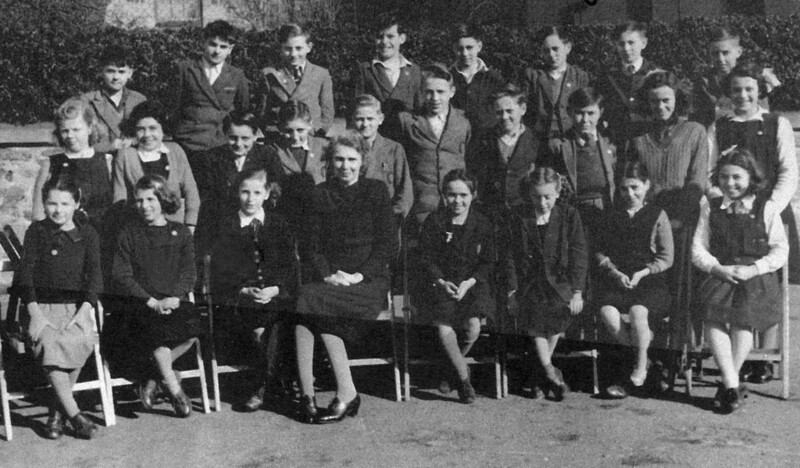 “Form 1E, Helston County Secondary School, 1947,” cornishmemory.com, accessed April 24, 2019, http://cornishmemory.com/item/HGS_027.